Reinforced rattan-weave material creates an exciting heavy-duty product. Menu inserts are held by black album style corners. 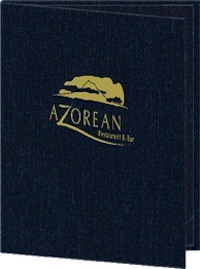 Textured menu covers offer creative and unique textures and colors for an unforgettable menu presentation. 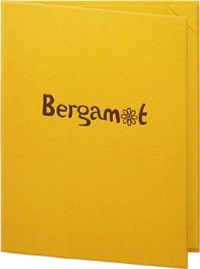 Natural and elegant linen hard back menu covers come in five color choices, with diploma corners to hold your inserts. 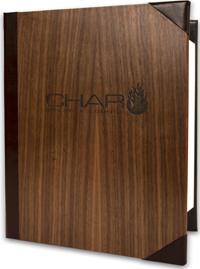 Beautiful, real wood front cover with bonded leather spine and back cover. 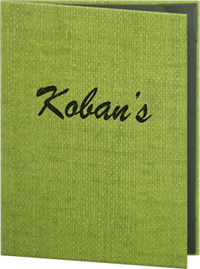 Menu inserts are held by black album style corners. 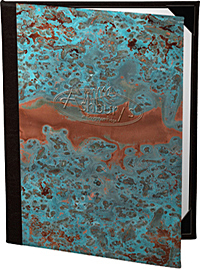 Patina Copper Menu Covers feature a uniquely beautiful pattern and come in 7 elegant colors.